Please help me welcome debut, Regency author, the lovely Collette Cameron. Collette is here today promoting her novel Highlander’s Hope. If you haven’t read it, I highly encourage to do so. Collette will also be giving away a copy of her book to one lucky commenter. To be eligible, you must leave your email address in with your comment. Collette: Thank you so much for having me here today, Ella. Ella: You’ve been hither and yon promoting your book. What does it feel like to finally have it released? Collette: It’s surreal; a wonderful kind of terrifying. It’s one thing to write a book and have it accepted to be published; it’s another to have it ‘out there’. Ella: What do you like best and least about being a debut author? Collette: Everything is so new. Learning about the publishing industry, author platforms and branding, marketing and promotion. That’s my least favorite part; the marketing and promoting. On the other hand, I’ve met (in the realm of social media and otherwise) many incredibly generous and supportive people. Ella: Tell us what the inspiration was to write Highlander’s Hope? Collette: I had toyed with the idea of writing a book for years, but never seriously considered writing a romance novel. I didn’t think I could. All that dialogue, conflict, and point of view stuff. A single scene, the Banbury Inn scene where Ewan finds Yvette asleep in his chamber, was the impetuous for Highlander’s Hope. The idea just came to me one day, and I played around with it in mind to see if I could develop a story line around it. I did, but boy was there a lot of back story I had to eventually cut. Ella: What drew you to Regencies and the Highlands in particular? Collette: A girlfriend handed me a Barbara Cartland novel when I was thirteen years-old. I read it and fell in love with Regency. Back then, that was quite daring. I love all historicals but Georgian, Regency, and Victorian are my favorites. The Regency era was a time of such transition; clothing, culture, politics . . . even morals were in flux. When I didn’t have my nose buried in a Regency, a good Scot’s Highlander was usually in my hand. I decided to take two of my favorite genres and combine them into something a bit out of the ordinary. Ella: What comes next or have you decided once was enough? Collette: Oh, Ella, you know how it is when the writing bug bites you. Once is never enough! Collette: Highlander’s Hope is the first book in my Blue Rose Trilogy. The second book, The Viscount’s Vow is due to release from Soul Mate Publishing next fall. It features Vangie and Ian from Highlander’s Hope. I’m hard at work on the third book, The Earl’s Enticement. That’s Adaira and Roark’s story. Then I have a stand alone that insists on getting written. After that, I’ve a six-book sage based on Ewan’s other siblings and cousins. Then of course I have to tell Isaiah and Josiah’s stories. Oh, and Harcourt’s and Yancy’s too. That’s why I love a large cast of characters; so many stories to write about secondary characters. Ella: Is there any advice you’d give someone starting their path to publication? Collette: Get involved in writing groups. I belong to several. Also, attend workshops and conferences on the craft of writing. Join social media groups which offer mentoring and classes. Critique partners are a must, as are beta readers. Oh, and make sure you read, read, read . . . not only about writing but books in the genre you write. Finally, find some small thing that makes your books just the tiniest bit unique; something that readers will be able to identify as your trademark. Ella: Without further to do, here is the blurb and an excerpt from Highlander’s Hope. I hope you enjoy it as much as I did. Perversely, Yvette argued, “Oh, my lord? How else will I travel to Craiglocky?” Blast it, she swore inwardly when her hoarse voice cracked. Ewan stiffened. The line of his mouth flattened and his eyes darkened. Merciful God, did she truly say that? It must be her illness speaking. He removed the cup from her shaking hand and set it on the bedside table. She could not tear her gaze off his eyes. They were bottomless pools reflecting to the depths of his soul. And he was angry, in fact livid with her. His moon-shaped scar ticked rhythmically. She couldn’t swallow past the constriction in her throat. She’d done it up brown now. Holding her hand before her to ward him off, she shook her head. In a movement so swift, she didn’t even have time to gasp, he lay atop her torso, pinning her with his weight. His gaze pierced hers before he lowered his head. She felt a soft, fluttering touch and a slight sting on her sore lip as his mouth brushed hers. In February 2011, Collette decided to sit down and write a Regency suspense romance with a few Highlander’s thrown in to spice things up a bit. She wrote Highlander’s Hope, the first book in her Blue Rose Trilogy. She has a BS in Liberal Studies and a Master’s in Teaching. She’s been married for 30 years, has 3 amazing adult children, and 5 dachshunds. Her puppy, Ayva, sits on her lap while she writes. Ayva also nibbles at and lies on the keyboard. Collette loves a good joke, flowers, the beach, trivia, birds, shabby chic, and Cadbury Chocolate. You’ll always find dogs, birds, quirky—sometimes naughty—humor, and a dash of inspiration in her novels. Her motto for life? You can’t have too much chocolate, too many hugs, or too many flowers. She’s thinking about adding shoes to that list. Normally I’d be too nervous to claim a WriterStrong post, but today I’m emboldened by my debut release. After fifteen years of work, tomorrow, I become a real live author at last! I want to celebrate with my WITS buds by giving away The Sweet Spotto two random commenters. Stop back; we’ll announce the winners on Wednesday’s post! My goal is to learn something about craft with every new book I write. 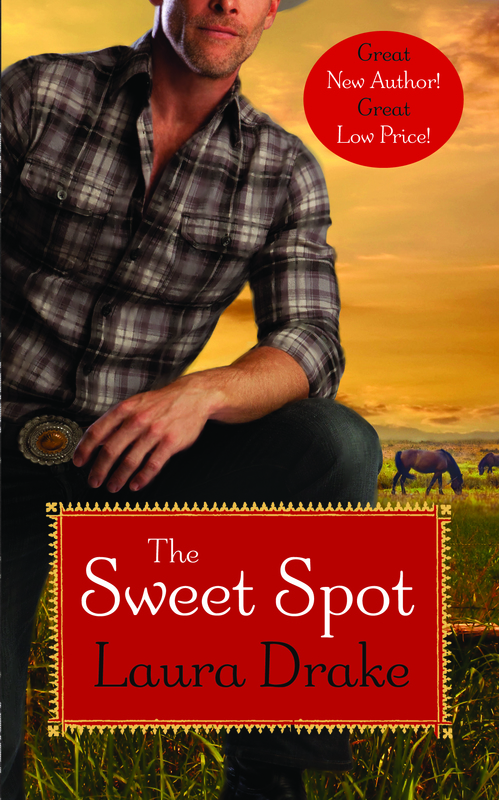 The Sweet Spot was my lesson in portraying emotion. All I can say is, thank the writing Gods for Margie Lawson. I knew what I wanted to say before her classes, but didn’t know how to get it on the page. Read this wonderful review of The Seduction of Lady Phoebe! 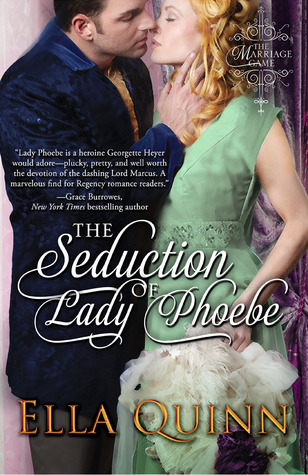 I had the wonderful pleasure of reading The Seduction of Lady Phoebe pre-release. Ella Quinn is a new author that writes with beautiful detail. Below is my review for The Seduction of Lady Phoebe. Lady Phoebe Stanhope is a spirited young lady that uses her quick wit and not so lady like behaviors (sword play, shooting a pistol riding astride) to protect herself. She is from a big family that encourages her independence by not forcing her to make a match unless her heart is in it. Phoebe keeps the walls to her heart guarded due to a lack of judgement she made when she was younger; where a young man accosted her making her take physical action against him. She still questions her judgement and will not take a risk where a man is concerned unless her heart tells her he’s the one. It’s Memorial Day, which for me is a bit sad, so let’s liven things up with some witty dialogue. Post an excerpt of yours and buy links if you have them. Here is mine from The Seduction of Lady Phoebe. The first book in The Marriage Game. Answering an insistent tug on her skirts, Phoebe picked up little Mary. Her sister raised an enquiring brow. Phoebe briefly closed her eyes. Hermione had seen her leave the gallery that day, but they had never discussed it. Her sister was right, Lord Dunwood was very politically active, as was her uncle, Henry, the Seventh Marquis of St. Eth. Phoebe raised one brow and haughtily looked down her nose. “If we meet, I shall, of course, be civil,” she said icily. Due to visiting friends, I haven’t been around much this week, but yesterday I dropped them off at the airport and now I’m back. Of course having guests required that I show them around St. Thomas and take them to St. John. As they were buying souvenirs, I took the opportunity to do my own shopping. 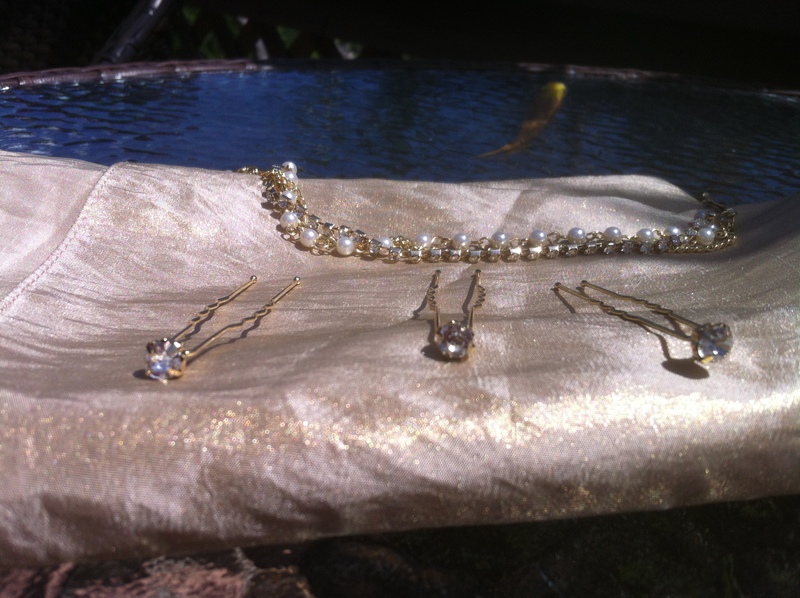 I’m making progress getting all the accessories together for my Regency gown. Amazingly enough I was able to find several items I need right here on St. Thomas for a very low price. Not something I would have expected. 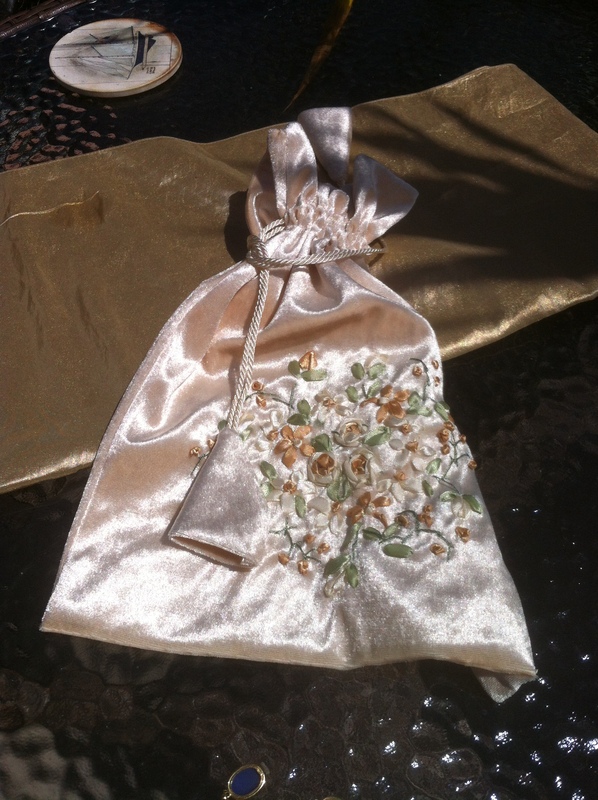 As I was hunting for a shawl a The Linen Shop, this reticule caught my eye. The gold in the flowers will be perfect with my gown. 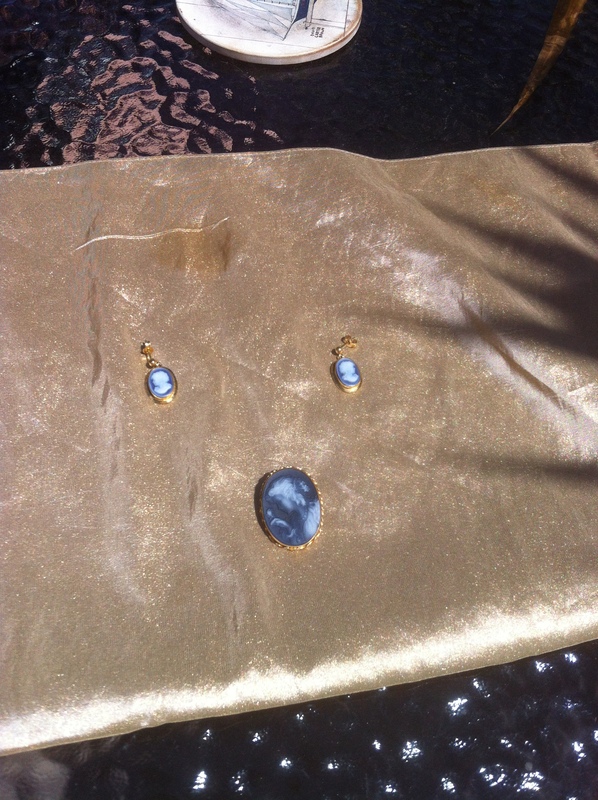 I have a set of blue cameos from Sorrento that my husband bought me some years ago. I’ll wear the pendant on a gold chain and I found a jeweler to switch out the posts on the earrings for wire. 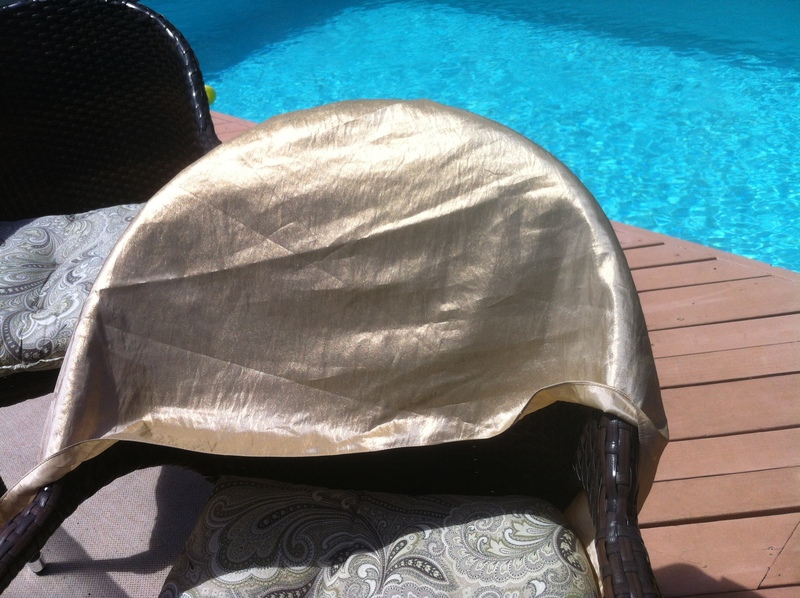 Finally, after searching St. John and St. Thomas, I found is beautiful gold shawl at Outriggers for a much lower price than I’ve seen online. I think it will go with the gown. Perhaps I’ll even add a bit of fringe on the ends. Last, but not least, I tracked down these hair ornaments at Icing. All this putting together reminded me of a passage in The Temptation of Lady Serena, book #3 in The Marriage Game, which goes on pre-order in August and releases in January. Phoebe and Serena went off to her dressing room, and searched through her new gowns. The past week wasn’t all fun and games. 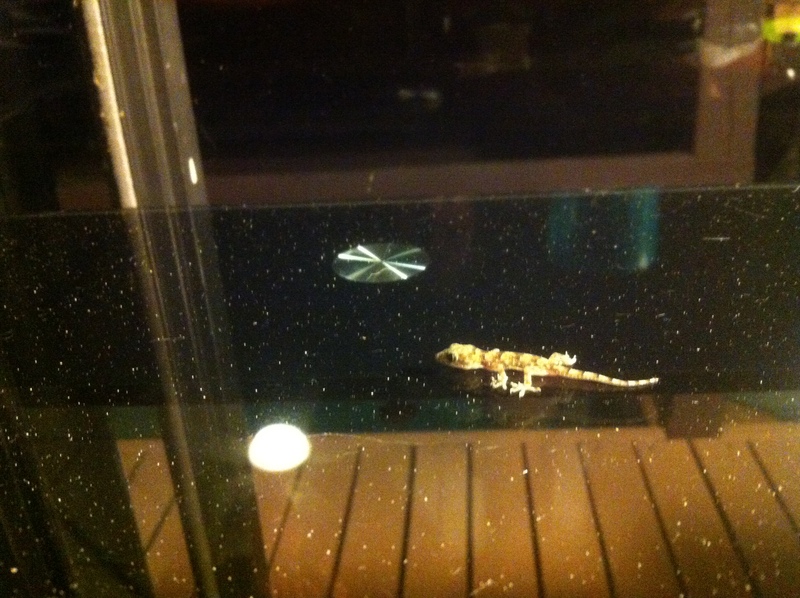 One evening while I work, this little guy came to visit. In the middle of the week I took my friends to a fund raiser for the St. Thomas Historical Trust which hosted a coal kettle cook off. 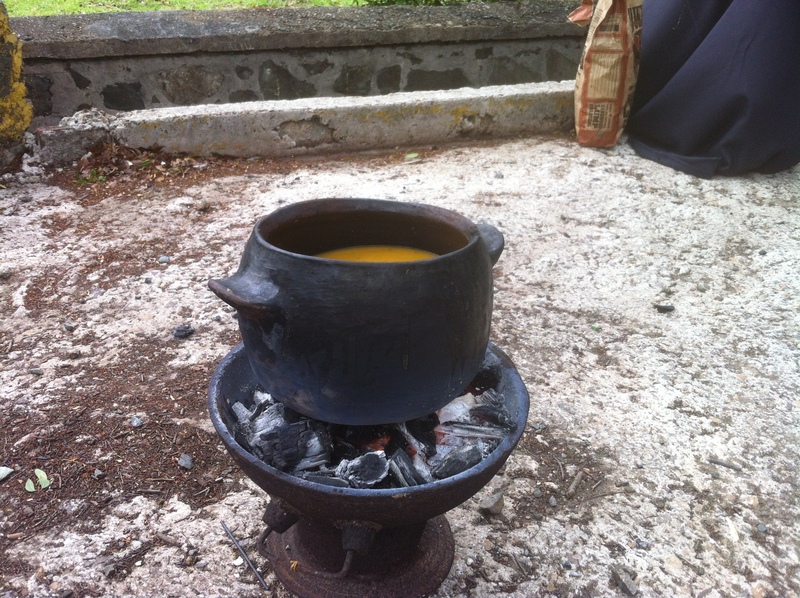 Coal kettles were used for cooking in the islands for many year, including during the time book #5 in The Marriage Game. I hope you had a good week and are enjoying the holiday weekend. For any one interested in Jane Austen’s home, here are some lovely photos. Inquiring Readers, Tony Grant visited Chawton on his way to Southampton on a gorgeous day in early March and sent on these photos. Below his recent images, I added a few that he took several years ago of the cottage’s interior. Enjoy. Life in the village didn’t offer much in the way of variety. Edward’s windows created a lively scenario, in which a curious Mrs. Austen, upon hearing a commotion (or carriage), would rush from the drawing room to the dining room to watch the goings on. One is impressed with the coziness of this village and how easy it must have been for Jane and Cassandra to get around on foot. During Tony’s previous visits, he took photographs of the garden in summer and the village and other cottages. Margie Lawson is back with another can’t miss blog! AND, a giveaway. Read on! Writers know SHOW DON’T TELL, but some know it cognitively. It’s rote. They know SHOW DON’T TELL the same way they know i before e except after c.
Applying SHOW DON’T TELL is tougher than it seems. It’s one of Barbara Kingsolver’s Top Five Rules for Writing Fiction. Show, don’t tell. Everybody knows this rule, and most of us still break it in every first draft. I don’t care if you TELL in your first draft. I care if you TELL in a polished draft, or in print. I see way too much TELLING in assignments posted to my classes. And sometimes the writers can’t see the problem.